Last Saturday night, I was a passenger in my boyfriend's car. We were heading back home from a day of (mostly) window shopping. We got some exercise, had some good food, and enjoyed the sun. As usual, while in the car, I checked my Twitter feed. When I saw a tweet that included "RIP Whitney Houston," I hoped that it was just some sicko's idea of a joke. But, as I scrolled through my timeline and saw trusted tweeters, both commoners like me and big celebs like Mariah Carey, all sending out distraught tweets about Whitney, my heart sunk. At only 48 years old, the beautiful soul with a heavenly voice, Whitney Houston, was silenced. Although we will forever have her amazing recordings, she will never sing again on this plane. Millions of us, when we heard the news, flashed back to memories from the 80s and 90s when Whitney's voice was one of the soundtracks of our lives. Many of us then rushed to watch coverage on CNN. We tweeted our sorrows and disbelief and congregated at YouTube to watch her videos, still in shock and numbed by what had happened. Whitney Houston was dead. I started to think about how she was only 48 and felt surprised, as I thought she was a bit older. I guess the anguish and pain of the last decade of her life showed itself upon her physical body, causing her temple to look a little bit older than it really was. I then thought back to when I was a young girl. I am old enough to remember her very first hits, including "Didn't We Almost Have It All?" and then her upbeat releases like "I Wanna Dance With Somebody" and "How Will I Know?" 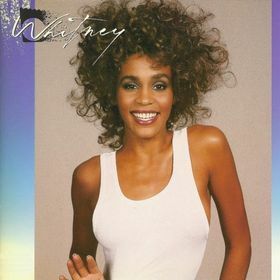 I could see vividly in my mind's eye the cassette cover of a vibrant Whitney with long, curly extensions, a beautiful smile, and a playful pose. As the mind works, one thought leads to another in an amazing, interconnected way. Suddenly, I was channeling my 8 year old self, listening to Whitney for the first time. I thought about how life was back then. It was a very nostalgic experience. I then remembered other Whitney milestones, like watching "The Bodyguard" with my sisters in the group home I lived at as a teen and how we would play the soundtrack over and over until we knew ever word, every nuance. Perhaps you experienced something similar, recalling memories from your past that are tied in with Whitney's music or movie roles. Perhaps you also connect with and acknowledge the significance of a highly publicized passing. Losing an icon from our childhood inevitably strikes a nerve: we are reminded that nothing lasts forever and that we are all mortal. We, too, shall die one day...and we don't know when or how. I don't bring this up to create fear. I do it because I hope that we will all move through this experience noticing how precious and fleeting life is. I hope that we acknowledge those we love and that we begin pursuing our dreams, because as we've seen with so many others in our lives, and now Whitney, not one among us is promised another day. I sign off this post with one of my favorite Whitney songs. I posed it on my Facebook page the other day, and someone from the new generation was introduced to it for the first time and fell in love with it. It's called, "All The Man That I Need." Enjoy. What was your reaction to Whitney's passing? Has her sudden and untimely death spoken to you in your journey in any way? Article: Should New Jersey fly the flag at half-staff in honor or Whitney Houston? I was shocked when my friend messaged me on Saturday night. I couldn't believe it. I know just a couple weeks ago Robs Uncle and I were talking about her. I think we were talking about her doing the Superbowl next yr i wad wondering where she was. Then we got on the topic of Bobby Brown and how we felt about that whole situation. So when I heard the official report Sunday morning I felt tears. I always like Whitney. I wasn't a die hard fan but I did listened yo her music. I knew who she was and I enjoyed her voice. I love her and Mariah Carey together in When you Believe. The most moving song I have ever heard. On Sunday sitting at the table for breakfast I put that song on. As soon as Whitney opened her mouth I had chills and goose bumps on my arms. I was overcome with emotion not only.from the song but to realize that woe she is really gone. We will not hear her voice ever again. I know her service will be held in my home state of NJ. I wish I still lived there...I would be in Newark with the other mourners. Whitney Houston was a big impact on a lot of.people and she will be missed. Her music and legacy will live on just the same as any other great artist we have lost in the past. Mary and Gabrielle, thank you for your beautiful comments. Thank you, for a very personal insight here. Whitney Houston was am amazing person with a voice that cannot be duplicated. She, like many, mamy more people around the world couldn't tackle her addictions. It is something that some overcome and yet others never find the relief they seek.